They look pretty, but until Corsair gets their controller software to the market, they just blink independently. The Corsair website shows them as totally coordinated, so it's a little misleading. But spec-wise, they work really well. from completed build 1700$ Red And Black Machine , Open To Upgrades!. Very fast ram , Set XMP and ready to go , easy to install. It works as advertised. Haven't had any real issues with the performance of it, and I don't need any more for what I use. 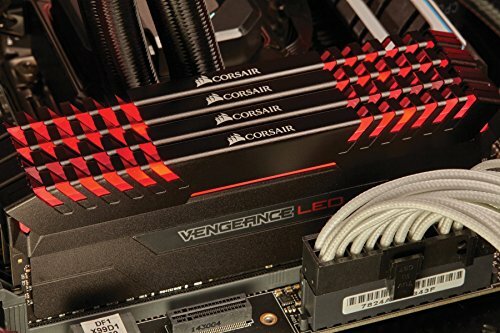 I will say that the corsair software to control the lighting is not quite perfected yet, and I could only every get control of one of the ram sticks. Unfortunately, this has led me to just disable the LEDs until the software catches up. Oh well. By default, these RAM sticks flash out of sync. Using Corsair Link, you have the option to sync the effect... but it doesn't work. They still flash independently. However, Corsair Link also comes with the option to make them static. They look great once permanently lit. Would be 5 stars if the software worked as it is supposed to. At its speed and price point (currently $125, got it on sale for ~$100), it is a great product. Edit 5/24/2017: Corsair has finally updated LINK to properly sync the LEDs. It looks great! Looks awesome, works as advertised. I have mine set on still to fit with my design, but there are a few different effects available through the LINK software and they all work well. 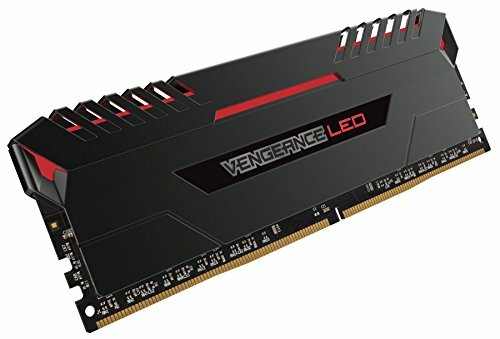 Nice ram, great for a red/black build. 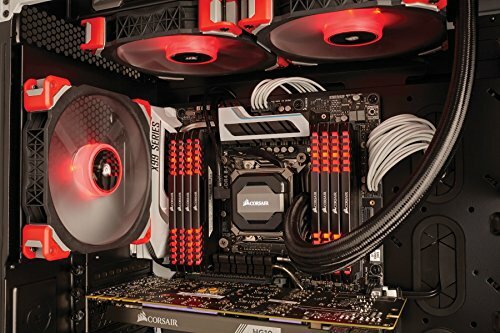 At first i thought the LEDs were RGB. Little did i know it was a fixed LED color, and because my RAM is red, i had to adjust the rest of the RGB colors in my rig to red to match its color scheme. Speeds are great even though i'm not pushing the gear to its full potential. Looks pretty, significantly cheaper than dominator. pretty good price for value. from completed build Unicorn Milk //A love story of a man, and his custom watercooled PC. Great looking RAM. It is not RGB, but new versions are. You can stop the "pulsing" effect in Corsair Link, if it annoys you.